Martin Roll was featured in a recent interview with China Daily Asia about the rise and potential of Chinese companies in the publication’s July 2-8 2018 edition. China Daily Asia is a weekly publication that features news, opinions and analysis of China and the region, with a distribution in China and across Asia including Australia, India, Japan, Korea and Southeast Asia. In the interview, Martin Roll discusses how the changing global business landscape has changed the way businesses need to adapt and compete. He offers advice on how Chinese business in particular can succeed in building global brands and create true value by unlocking their potential as Chinese and Asian brands. Changing global market conditions have seen branding become a strategic necessity for any business with a long-term objective. For many decades, Chinese companies have survived under government protection without the need for branding. However, with the rising economic power of China at the forefront of the global stage, the confidence levels of many Chinese companies and their leadership are growing. Martin Roll believes that more Chinese companies are aspiring to and venturing into the global markets today. The key to success for Chinese companies then, in this new era, is in building brands that resonate with customers and allow them to gain better quality perceptions, a competitive edge, and eventually create long-term, sustainable shareholder value. 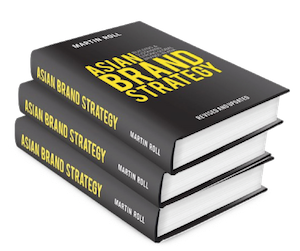 Since 2000, when Martin Roll set up his consulting firm Martin Roll Company to advise Asian and Western companies on building their global brands, branding was new to Asian companies. Today, it still is, especially in Asian companies that are largely family-run. Nonetheless, this is changing rapidly. Asian companies understand the urgency to outdo their foreign competitors and are not afraid to strive towards this goal with determination. However, Asian companies need to be bold and stay true to their origins. 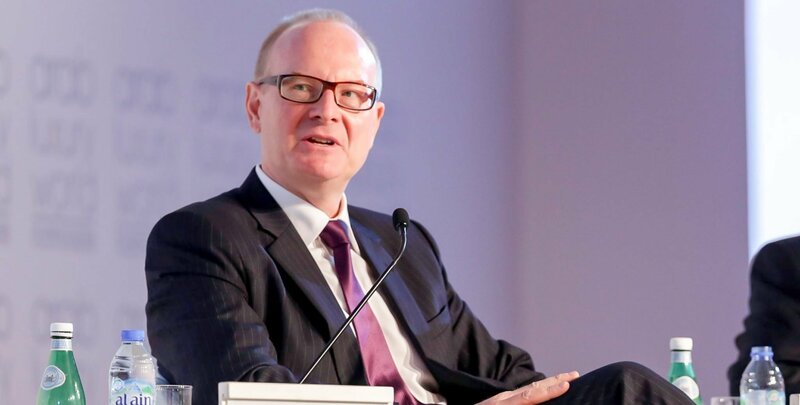 Recalling discussions he had with Asian corporate executives, Martin Roll advises that it is crucial for Asian boards to recognize the value of bringing out the Asian flavor in their offerings and leave behind their inferiority complex against the West. There is little value in marketing an Asian product using European faces to Asians. True Chinese brands will start breaking into the global marketplace in the next decade as branding gains prominence across Chinese boardrooms as a strategic driver. To be successful in building global brands, Chinese companies must first provide distinct quality, a competitive edge in their offerings that distinguishes them from their global peers, and second, tell a compelling story that resonates with consumers. On the other hand, the Chinese government can also play an important part to enhance the global Made in China perception. The strength of a nation brand directly impacts the success of a company going abroad, as seen from success stories like Japan and South Korea. Martin Roll believes that China will undertake the same evolution. Huawei, Alibaba, and Tencent are Chinese brands paving the way to global markets and showcasing the innovation capabilities, bold leadership decisions and quality distinctions of new China. Branding requires boardrooms to assume a relentless focus on quality. It is not just a function, but a mindset and a strategy for organizations to excel. In the years to come, Chinese brands will enhance their branding capabilities. In doing so, Chinese business leaders need to make bold and daring decisions from their brands to embark on a global journey.